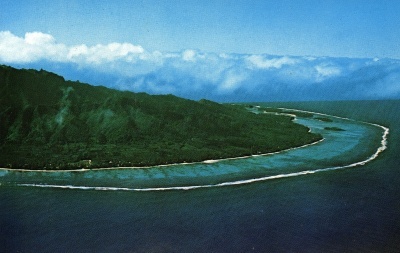 My wife and I visited the islands in 1985 and a trip to the Cook Islands Broadcasting and Newspaper Corporation’s station“Radio Cook Islands” was on the itinerary. 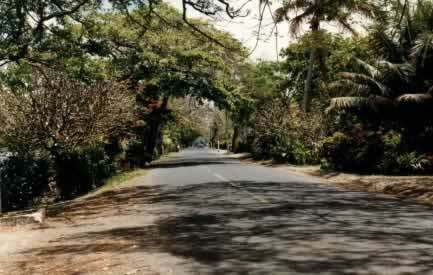 The building housing the studios and offices is down a lane in Avarua, the main town. We asked to see Nooroa Tangaroa (CE) who kindly gave us the guided tour. The offices and studios weren’t overly large and were being re-built at the time. When asked about the SW transmissions, Nooroa voluteered that the SW operation was being kept alive from parts scavenged from his own ham transmitter! The 10kw transmitter of ZK1ZC on 630 kHz (600kHz prior to the 1979 WARC re-shuffle) was replaced in 1982. 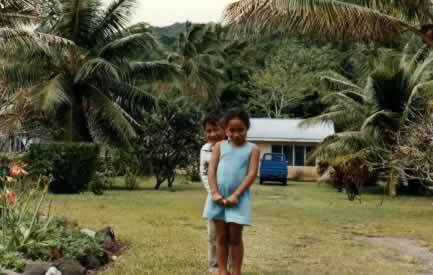 It used too much power to operate and electricity generating costs are expensive on the island of Rarotonga. A new solid-state transmitter reduced power to just 5 kW. At the same time, 864kHz with 3kW carried regular programming when 630kHz carries Parliament. Nooroa pointed out the location of the MW & SW transmitters on the island and I checked them out as we motor-scooted around the island. Shortwave frequencies used over the years have been 3265, 5045, 9695 (briefly), and 11760kHz which was used until the SW transmitter was destroyed by fire in 1992. A visit to Radio Ikurangi, the FM broadcaster was brief. Freddy Keil (owner and operator) was away and the staff were too busy (one DJ and one technician). Their studio/office complex was close to CIBNC though very modern and well appointed. The format was more Top 40 style with little islands music, the exact opposite of Radio Cook Islands! 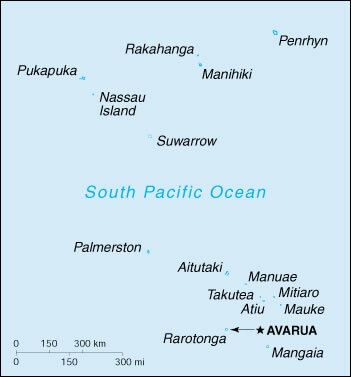 Being relatively isolated, satellite technology was employed to link the Cook Islands college to the University of the South Pacific. An ex-patriate New Zealander, Stewart Kingsman had an office on the Northern coast and showing true Kiwi ingenuity, had constructed a “dish” comprising bits of 4 x 2 timber and a coil of #8 wire… and it worked! Re-positioning the “dish” to change satellites was a matter of grabbing one end of the structure and pointing it using “dead reckoning” to the the correct bearing! Wish I’d taken a photo! Stu also had a rack of (unfortunately) rusting communications receivers including a couple of 4-series Drakes and other brands. Also on the section was a demo house powered entirely by solar-charge 12 volt batteries, including a freezer, iron and microwave. DX-wise, I didn’t have a travel portable to take so my GE EA-2875A (model below the Superadio II) was packed into the luggage. I rigged up a 12 metre loop aerial across one wall of our motel unit (the Tamure Hotel) on the North of the island about 2km East of Avarua, and was very pleasantly surprised with reception… several Brazilians were heard including 5kW R Ipanema at a steady level and Paraguay 920 as well. The nearby islands of Samoa and Tahiti were very strong as also were many Japanese and East-Asian stations. Mainland US broadcasters were heard at similar signal-levels to here in New Zealand and Hawaiians relatively mediocre. The island was a fantastic place to visit. We were there for two weeks and if you’re into tropical paradises, scuba-diving, deep-sea game fishing or a lazy holiday, Raro has plenty to offer. The people were very friendly and the whole island a pleasure to behold. I can firmly recommend Rarotonga as a destination. 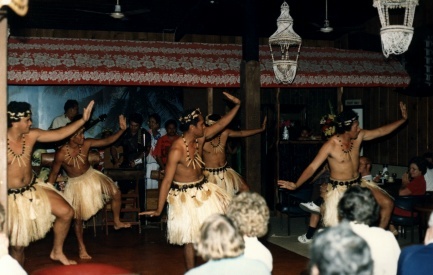 To whet your appetite further, check out the Cook Islands official web-site. Business commitments meant only a brief conversation was possible with Radio Cook Islands Supervising Technician (and verie signer) Nooroa Tangaroa. He seemed genuinely interested in reception reports from overseas and said that while the majority were from 5045kHz SW a few had been received from Invercargill for 630kHz. 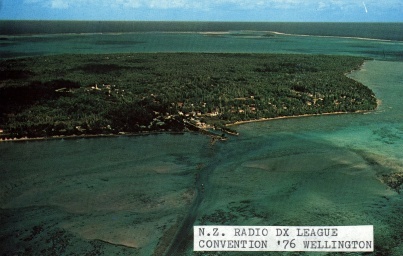 He was concerned that DX mail was slow in reaching him because of initial misdirection to Cook Islands Radio (utility) or other communications operations in the island. 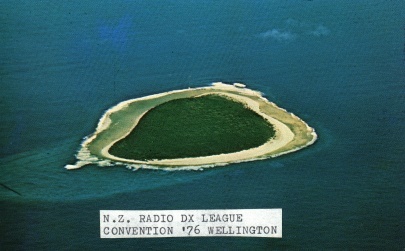 Radio is a topical subject in Rarotonga, with the competition between government-operated Cook Islands Broadcasting and Newspaper Corporation’s 1ZC R. Cook Islands and private enterprise FM station 1ZK Radio Ikurangi. Using 103.3mhz the latter identifies as “Radio I’, “The Big I’ and “Happy Radio’. The commercial programming in English of mainly western pops runs from 6am to midnight, local time. They are piped into hotel rooms in preference to 1ZC, even though the latter is listed in hotel literature. Radio Cook Islands programming is more varied and often bilingual with Maori language items and greater emphasis on spoken items including news. 5 Radio Australia relays, 5 Radio New Zealand relays (including midday and evening reports) are aired during the 6am to 1pm. transmissions. Local news is carried three times a day. As far as Cook islands duty free shopping goes there is nothing yet worth considering for the DXer/SWL. Only one DR22 was noted, at $60 more than the Auckland duty free price. 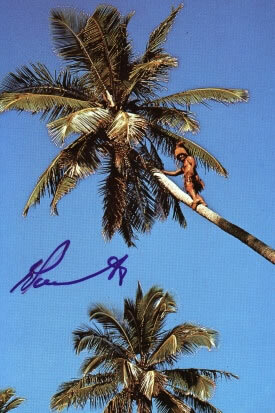 Put 18 DXers together on a tropical island, string out 250 metres of wire at 80 degrees, assemble some MW loop antennas, criss-cross your location with various longwires, add an impressive line up of receivers – and you have the makings of DXCURSION RAROTONGA 1982. Of course you add the sunshine at tropical temperatures, the warm and inviting waters of a Pacific lagoon, the occasional evening downpour, comfortable quarters – and you have all the ingredients which made a great week for 2 hams and 18 DXers in Rarotonga. The group was made up from Ernie Moore (Brisbane) , Les Bratherton (Dapto, NSW),Harry Weatherley (Melbourne) plus Kiwis Robert Krijger, Ron and Esther Holden, Paul Bellett, Jason and Ethelwyn Lodge, Jack Searle, Garry Bryan, Bryan and Bette Marsh, Tom Rushbrooke, Myra Boothroyd, Lyall and Mrs D Mathieson, Jocelyn Wilson and our tour leader, Tony King. Most took receivers and these ranged through DR26, DR28, CRF150, ICF2001, ICF6800W, Drake SPR4 Barlow Wadley, Realistic TRF and GE Superadio. From a thatched roofed shelter (but not too waterproof) in the spacious grounds of our motel, much of the exotica of South and Central America was logged and recorded on cassette. Evening listening started around 5 pm (0300 GMT) with the first trace of Latins around 5:30 and the MV band was alive with North and South American signals by 6 pm. Hawaiians and Yanks were heard throughout the evening, but the Latins began to fadeout around 8:30 pm. Some of the better catches were Nicaragua 620, R.Carve Uruguay 850, R. Mundial Guatemala 700, R. Diego Portales Chile 1180, Emisora Nuevo Mundo Colombia 850, R. Soc. da Bahia Brazil 740, R. Tequendana Colombia 770, LRA1 Buenos Aires Argentina 870, R. Tropicana Ecuador 540, R. Vision Venezuela 720, R .Caracas Venezuela , KHIT 1330, WOKB 1600, KUDE 1320, KXLY 920 etc etc. The shortwave bands were just as interesting, with many of our party devoting much time in this area of the radio spectrum. The writer however, found MW more challenging and spent very little time scanning the SW bands. Brazilian signals were noted at surprisingly good strength on bands 90 through 25 metres. While each evening and many mornings found the dials being scanned, there was plenty of time to relax and enjoy what Rarotonga has to offer. Visits were made to the Cook Islands Broadcasting Service where we were adopted by the Director and Chief Technician, Nooroa Tangaroa, who recounted the history of broadcasting in the Cook Islands. The station scheduled a special DX test on 28 April at 11:07 pm sign-off. This distinctive test of tone/shell horn/drums was heard on 11760 and 630 kHz. As a compliment to the group, the tests were repeated on 29 and 30 April at the sane time and duration of 15 minutes and Nooroa is now waiting to issue the special QSL cards that were printed for the occasion. A visit was also made to the FM station Radio Ikurangi operated by Freddie Keil and a most enthusiastic staff. Twenty Radio Ikurangi T-shirts are now being sported around New Zealand and Australia. The satellite link installation provided by Cable and Wireless was also inspected and put to the test with some calls home. Stewart Kingsman proudly showed us his satellite Peacesat terminal, and in a fascinating visit acquainted the group with the various radio link-ups his station handles, ranging from the Peacesat Network to island to island communication. Stewart is also involved in studies of solar power generation which he believes will be of great benefit to the outer islands. There couldn’t be a more perfect place for capturing solar energy. Other delights during this week in paradise were: buzzing around the island on motor scooters, across the island trek by the fit and adventurous, a barbeque on an offshore island in Muri Lagoon, an umukai (traditional island feast) followed by dancing and island floorshow by Taakoka Dance Troupe, good shopping and beer from Samoa and Tahiti. These were the highlights from 8 days in a great DX location, amongst most friendly people and a fine group of Kiwi and Aussie radio hobbyists. Our sincere thanks to Tony King for making this magnificent trip possible and our stay so pleasurable. enjoy when the ionosphere cooperated. Island and investigate for myself. 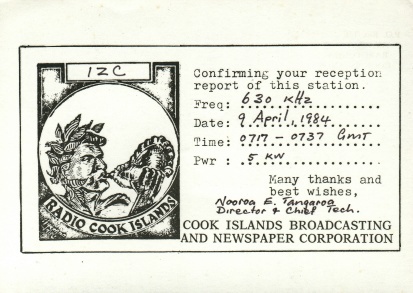 and pointed to their advertisement: “Radio Cook Islands, 630 MW, 11760 SW”. Of course we’re on the air, she said, “it’s right here in the paper”. entrance to the RCI building for a photograph. near a city square. The concrete pad showed obvious burn marks and scorches. recording(s) for sharing with others if there’s any interest.